The train station Paris-Austerlitz, also called the Gare d’Austerlitz, originally called the Gare d’Orleans, is one of the seven major terminus train stations of the SNCF in Paris, located on the banks of the Seine River (left bank – rive gauche), in the area of la Salpetriere in the 13th arrondissement (district). 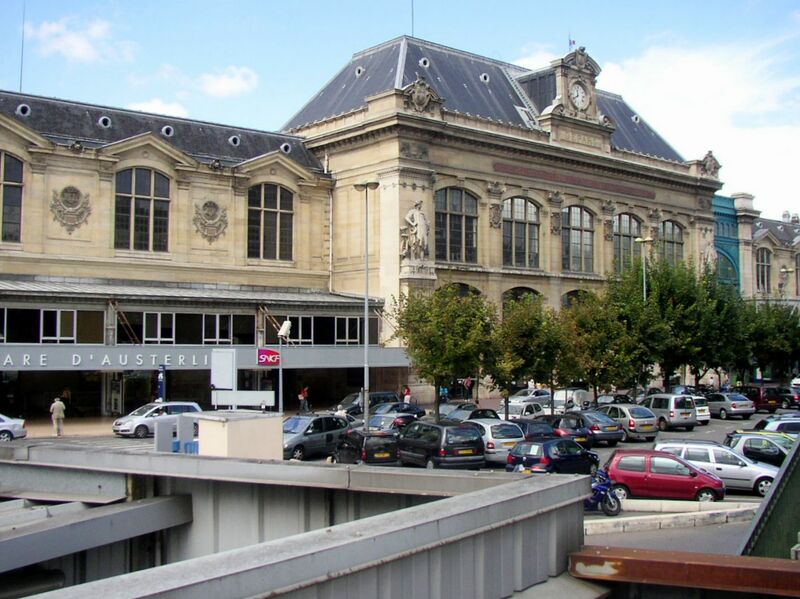 It is the departure for the classic train line that serves Bordeaux-Saint-Jean, Limoges-Benedictins, and Toulouse-Matabiau. It is in zone: 1 (tarification for Ile-de-France) with coordinates 48° 50′ 30″ North, 2° 21′ 58″ East with an altitude of 30 m.
It is on the train lines Paris-Austerlitz <=> Bordeaux-St-Jean and Quai d’Orsay <=> Austerlitz with 21 plus 4 underground tracks and 2 platforms serving 23 182 286 passengers per year. Exciting train tours of the hexagon (six-sided France as the country is affectionately referred to) and the beauty of everything in between. Your fully organized and pampered French experience. BonjourLaFrance recommends getting a Paris Visite Pass to travel around Paris and suburbs with the inclusion of transport to/from the airports. 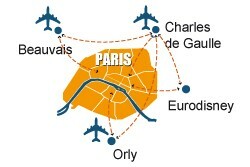 1, 2, 3 or 5 consecutive days for zones 1-3 (inside Paris). 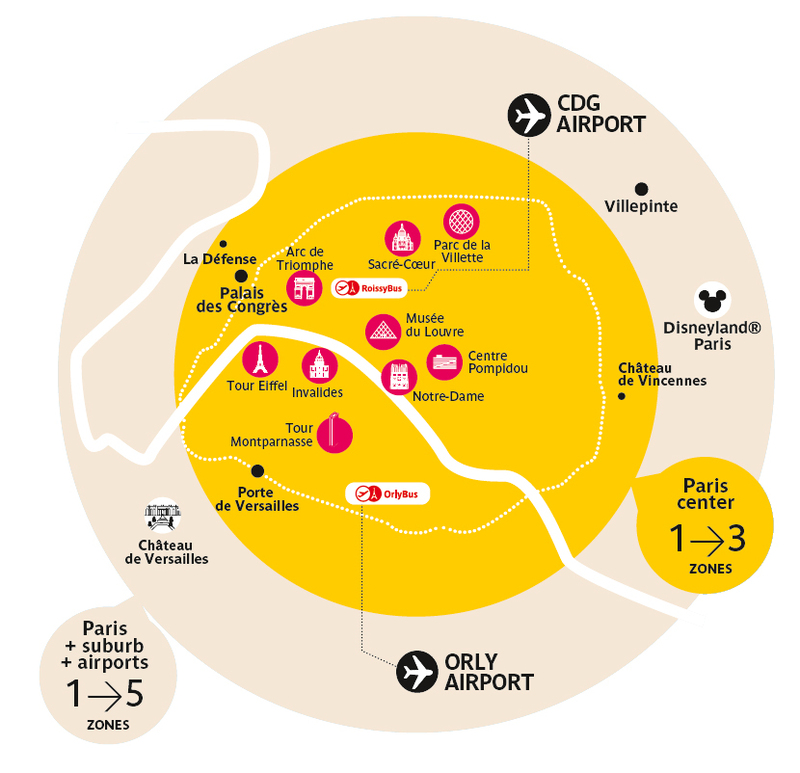 The 1-5 zone Paris Visite Pass includes travel to Versailles, Disneyland as well as Roissy CDG and Orly airports). 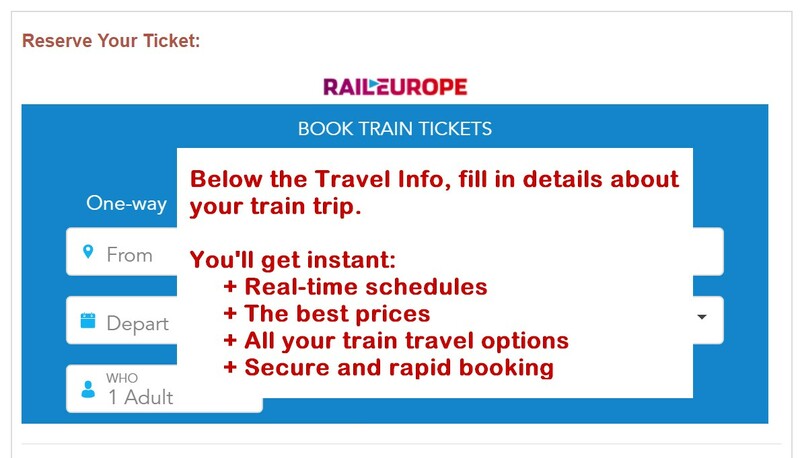 It includes unlimited travel on the metro, bus, tram, and RER. In addition, you receive discounts at various museums and locations around Paris. The perfect introduction to bring Paris to Life with Live Guides. Visit the world's most romantic city. Hop off the bus whenever you wish to absorb the culture and live Paris your way. Go directly from your hotel or terminal to your destination at a reasonable, fixed price that includes the cost of luggage. Our companies use experienced, English-speaking drivers to make sure you and your luggage arrive safely. Click here to buy this service. We recommend getting a Paris Visite pass to travel around Paris . 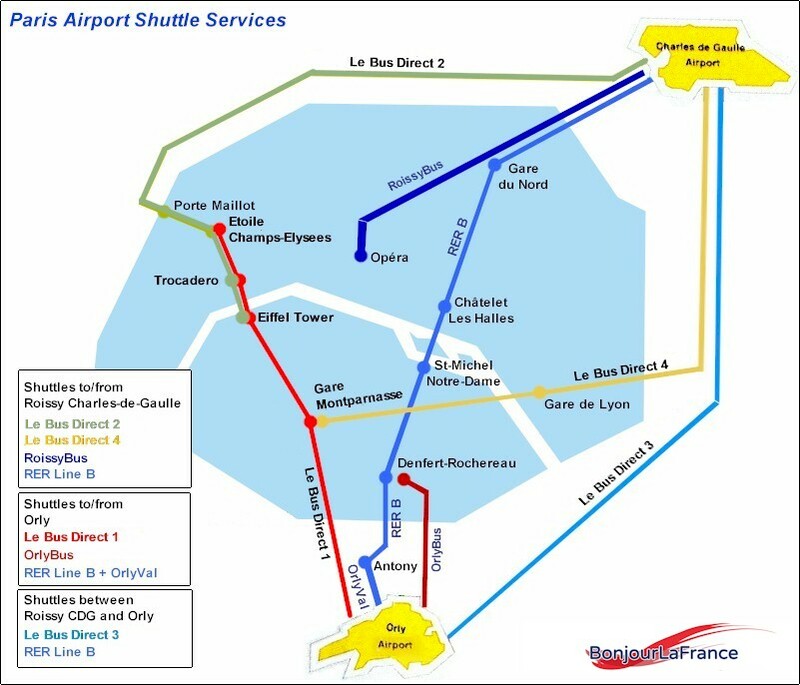 1, 2, 3 or 5 consecutive days for zones 1-3 (inside Paris) or 1-5 (includes Versailles, Disneyland, and CDG, Orly airports). Unlimited travel on the metro, bus, and RER. Book the Best Car Rental Deals from a wide selection of cars and the most widespread company in France directly at the Gare d'Austerlitz train station in PARIS. Park before arriving. Long and short term secure parking. Book your car park online easily and save up to 70%. RentalMotorBike Motorbike and scooter rentals in Paris (Paris, Paris - Gare de Lyon, Paris - Gare du Nord, Paris - Orly airport, Paris - Roissy CDG Airport). Best price guaranteed. Top brands BMW, Harley Davidson, Honda, etc ..., motorcycles for rent, latest models perfectly serviced in Paris and outskirts. Rent motorbikes, scooters, and accessories online as well as travel, and cancellation insurance. Accessibility: Reduced Mobility: Call 'Acces Plus' 48 hours in advance of travel to inquire and reserve: +33 (0)8 90 64 06 50 available from 6:00 am - midnight. For assistance boarding your train, arrive at the platform at least 30 minutes before departure time. Wheelchairs and boarding ramps are available if required. Baggage storage service - Eelway A luggage free day in Paris - Luggage transfer in Paris area & storage at airports and train stations. A national database registers all lost and found objects in real time. Search for your object will continue for one month. There's a charge of 5/10 Euros, depending on object's value, for restitution of an item. Time: Every day from 06H05 > 00H55.